I’ve been getting a lot of questions on social recently about my skin care routine. What am I still using, what am I testing out, and what’s keeping my skin calm during my move to the desert? My mission has been to streamline my routine and stick to a select few that really work for me. I’m still deciding what has made the cut, but I wanted to highlight a particular moisturizer that is leading the pack. 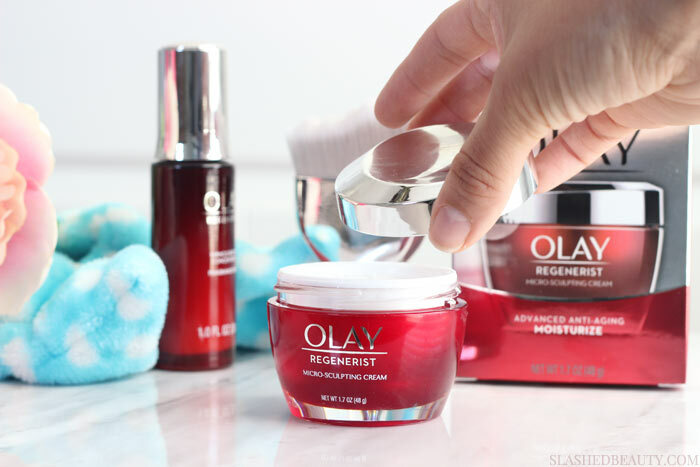 The Olay Regenerist Micro-Sculpting Cream is a multi-function moisturizer that I’ve mentioned in the past as one of the ways I’m being proactive about anti-aging. The formula was recently revamped to tackle a range of skin concerns while quenching thirsty skin. While it’s rich, it’s summer-friendly since it sinks into the skin really quickly. I don’t like using heavy creams when it’s hot, so this gives me the best of both worlds as far as hydration level and comfort. It boasts immediate results as it instantly reduces the appearance of lines, boosts hydration and brightens up your skin tone. Key ingredients include Vitamin B3 to boost cell turnover and maintain the skin’s moisture barrier— super important to achieve clear skin. The Amino-peptide helps smooth fine lines and wrinkles, and Vitamin E protects against free radical damage. The new formula also contains Carob Seed Extract to help repair and regenerate the skin. In short, this product tackles the job of about seven products— it’s the Wonder Woman of face cream. Since April, Olay Regenerist Micro-Sculpting cream has been a go-to for me, and I truly think it’s what is keeping my skin on the up and up through the stress of moving and a new climate. Since I don’t battle wrinkles (yet) the most clear results I’ve seen boil down to my skin tone looking more even and feeling more balanced in terms of moisture. I’m also seeing a significant difference in the texture of my skin— it’s much more smooth and makeup is applying easier on top of it. My combo skin can be a pain during summer, but this has been a great secret weapon in keeping me hydrated without overdoing it. Plus, after using harsher products to help keep my acne under control, this makes sure I’m never left feeling tight or dull. I apply it right after toner and acne medication, and it breathes life back into my face. Hydration has been my main concern here in Vegas, and I know it’s the key to keeping a healthy complexion as well as preventing signs of aging. This does the job perfectly while also giving me a little extra. With the help of my humidifier and the cream, my skin feels great when I wake up and far into the day. When I first talked about this moisturizer back in April, I mentioned how it feels high end— well apparently I’m not the only one. The Good Housekeeping Institute recently tested the latest Micro-Sculpting Cream formula against 10 prestige department store creams costing up to $440, and beat out all the other more expensive brands! The test showed that the Micro-Sculpting Cream moisturized 400% better than the cream that cost 18x its price and beat all the other competitors, on top of increasing moisture by 50% on average over a 24-hour period. Why am I telling you all of this? Because it just proves yet again that you don’t have to splurge to get a powerhouse of a product. 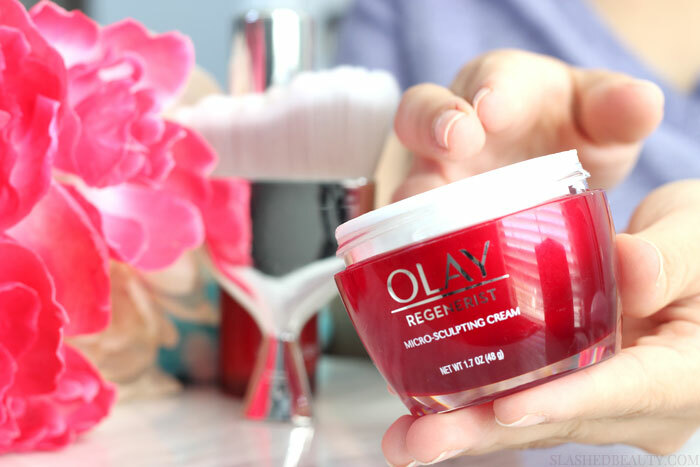 The Olay Regenerist Micro-Sculpting Cream isn’t just an anti-aging cream. It helps with moisture, skin texture and tone, and protection and will give you instant gratification while also keeping you proactive about anti-aging, proving itself later down the line. For $26.99, this is a treat that makes me feel like I’m indulging my skin without having to splurge. Have you tried the classic Micro-Sculpting Cream’s new formula? Must try this one always looking for a great moisturizer. I did try long time ago the Olay Regenerist with aha and it gave me a bad scorched red reaction as if badly sunburned on cheeks even left a spot thank God it is very small so I immediately gave it away. Maybe I’m sensitive to it or some allergic reaction. Presently I’m using L’Oréal Revitalift Bright Reveal, the glycolic pads and spf. I also love their Revitalift face/neck cream in small white jar is working well no dryness, no breakouts and skin is much more clear no doubt. Oh, and the glycolic cleanser I keep In the shower. Got them at Rite Aid at 40% off. I’m liking the products. Rite Aid’s 40% off sales are AWESOME for trying out new stuff like this!! I’ve been obsessed im with this! This is my HG cream and I am so so glad I found it! Seriously though, so much bang for your buck with this cream. Girl your skin looks amazing!!! Your skin looks great and I know that moving can do a number on it. Keep it up!! 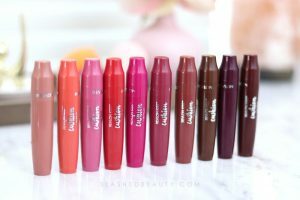 I used this for years until I started blogging and had to start testing out brands. I like all the Olay products and I definitely like the price point. I am all about finding good moisturizers! My skincare routine is so important to me. I’ll have to add this to it! I haven’t tried this but it sounds amazing! I am very impressed with this moisturizer! 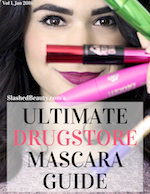 I am a huge fan of awesome beauty products I buy at a normal store (i.e. not a fancy beauty counter)! And Olay has been around forever! I’ve been loving this! It’s so affordable and GOOD! 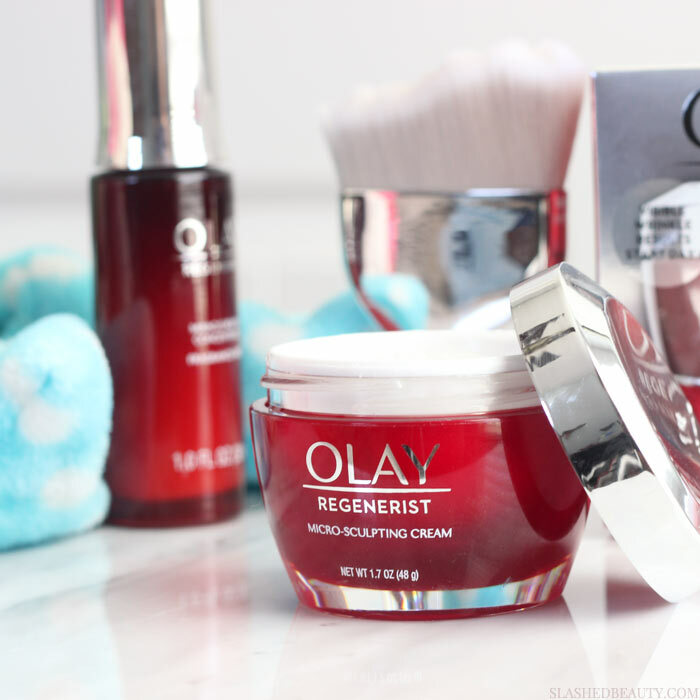 Olay makes the best face creams and I love how affordable they are, too! I used this anti-aging moisturizer for at least 10 years before I started blogging and had to review other skincare products. I adored it and think it’s one of the best skincare values around. It works!